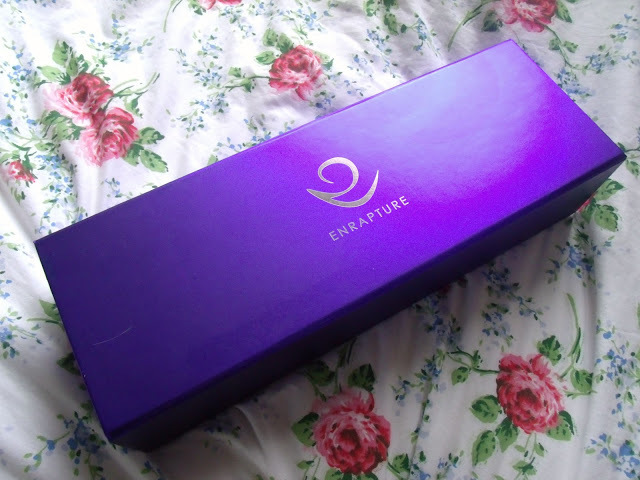 Firstly, it comes in a lovely purple very sleek gift box. I really like this because it looks instantly good quality and luxurious. It also comes with a heat resistant pouch, as well as a style guide on how to use the tool to style your own hair. 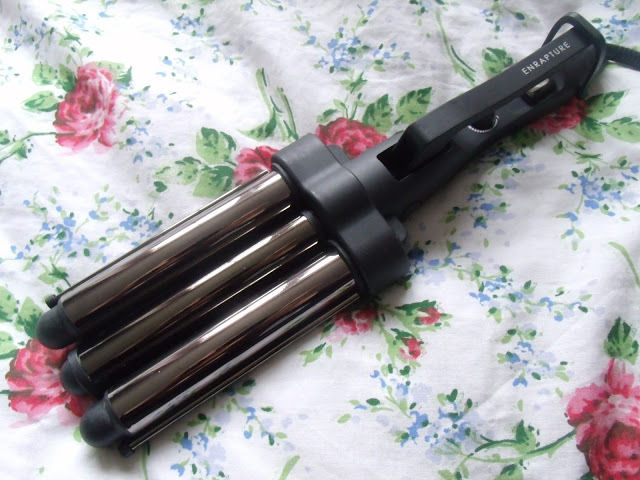 So, the actual styler is like a giant retro crimper, only it creates more gentle waves as opposed to frizz! And when it says jumbo.. it is actually quite large! It’s a little bit heavy too, but as it’s so quick and easy to use this isn’t a problem at all. The titanium plates heat up very quickly, and they’re ready to use in a minute or so. To use it, you simply take a piece of hair, and put the hair between the plates, starting at the root. 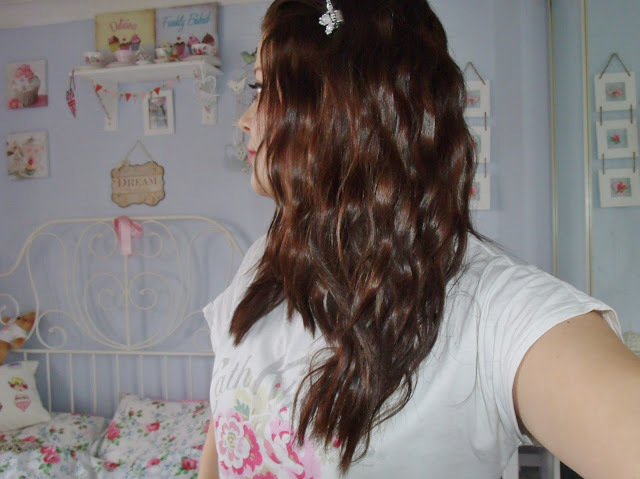 Then clamp the waver down for a few seconds, and then release and do the lower piece of hair. The barrels are 25mm so create quite big waves. The look is instant and lasted all day for me. 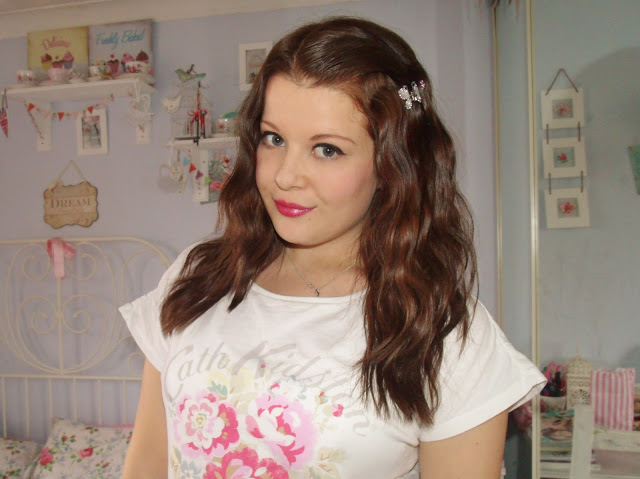 It’s the perfect faux lazy hair style because it looks fairly effortless and natural. The smaller pieces of hair you use, the more volumised and wavey your hair will be. 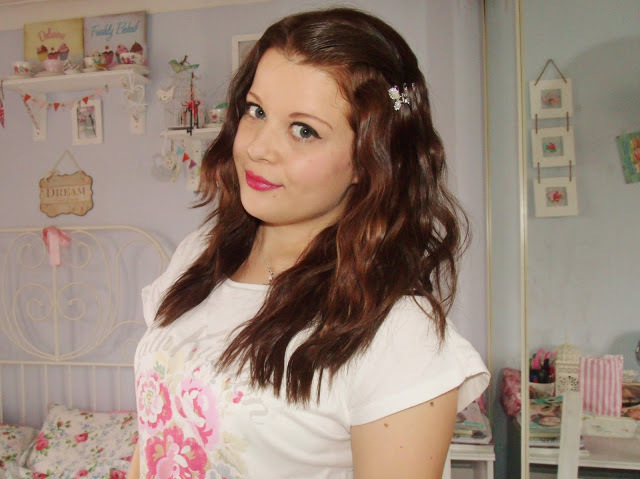 It’s great at creating instant beach hair! 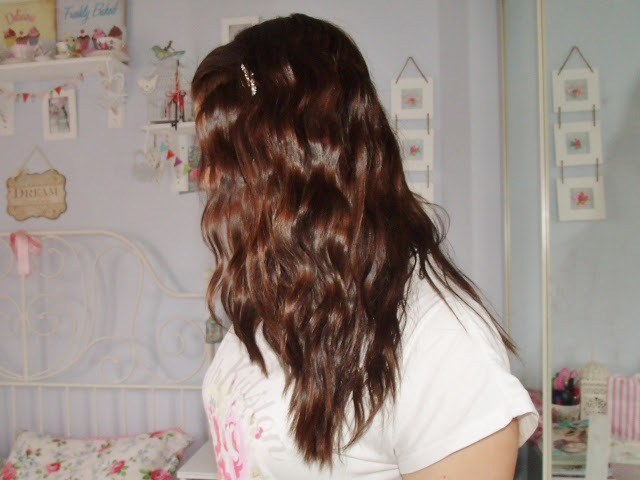 So here’s some photos of how my hair turned out after using the Jumbo Waver from Enrapture. I used a mixture of larger and small sections of hair to test it out, and overall I’m extremely happy with the results! 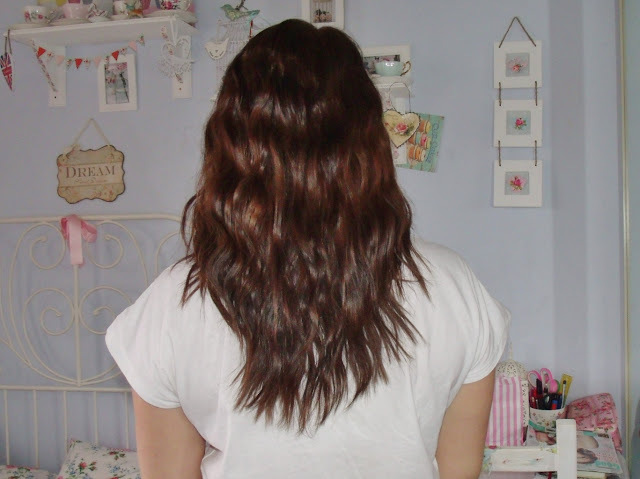 Sorry for the photos, I had to use my flash to capture the curls in my dark hair. But it looks really quite natural and it literally only took a few minutes. It’s really simple to use and I will certainly be using it frequently and would recommend it. CAN I HAVE THIS PLEASE. Oh the waves look fabulous Victoria! I need to learn to do this! 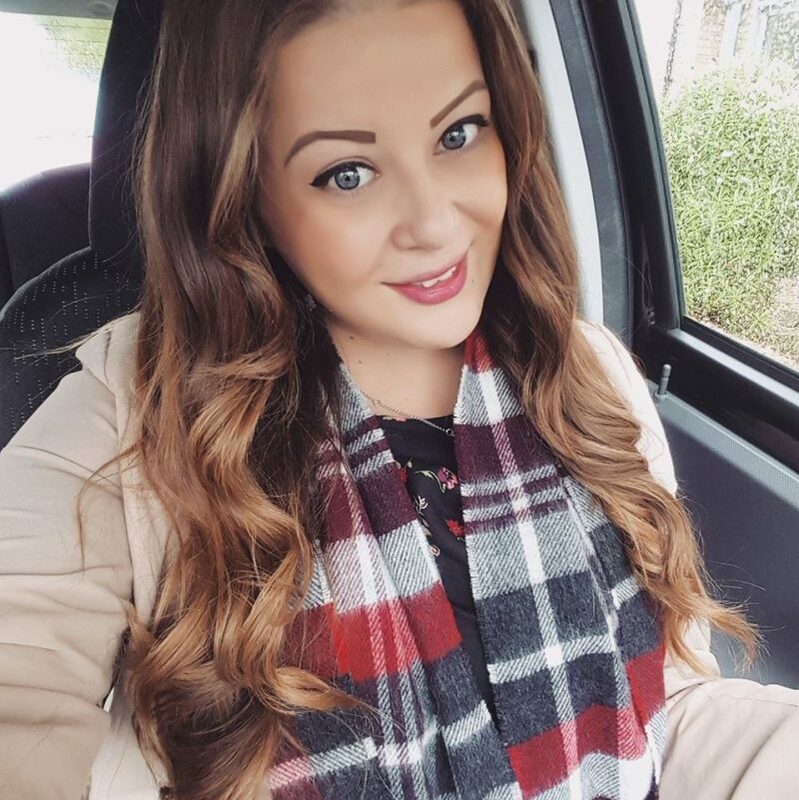 I always have curls vs waves… Thanks for the inspiration! That looks like a serious sci-fi mega weapon, but your hair looks awesome! Wow your hair looks absolutely gorgeous! 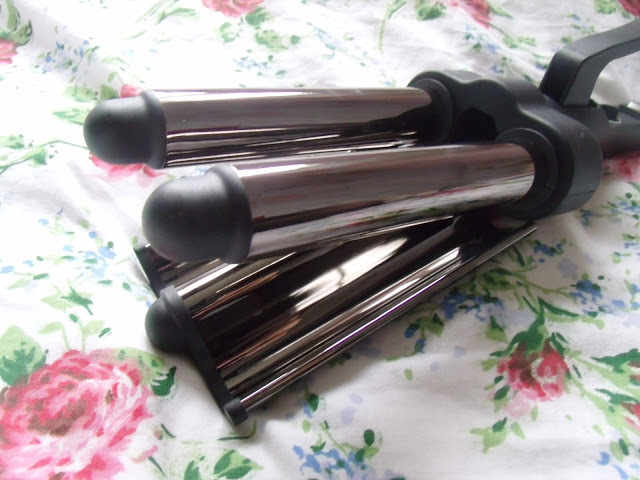 Your hair looks so lovely like this, I've been wanting one of the Enrapture wavers for soooo long but just don't have the cash to spare, even now they're being sold in Tesco for cheaps! Boooo.